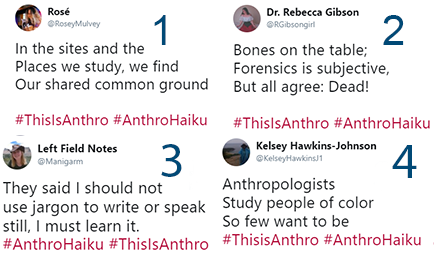 Celebrate anthropology by writing an original haiku exploring one or all of anthropology’s sub disciplines (bonus points if it connects to our "This is Anthropology" postcard image). Eligible submissions will be entered to win one of three prizes including: a 2019 Annual Meeting Registration, a year of AAA Membership, and a $100 Amazon Gift Card. All entries must 1) follow @americananthro, 2) submit via Twitter, and 3) use both #ThisisAnthro and #AnthroHaiku. AAA will select four finalists. A vote to determine the three prize winners will be held via Twitter poll on October 4. 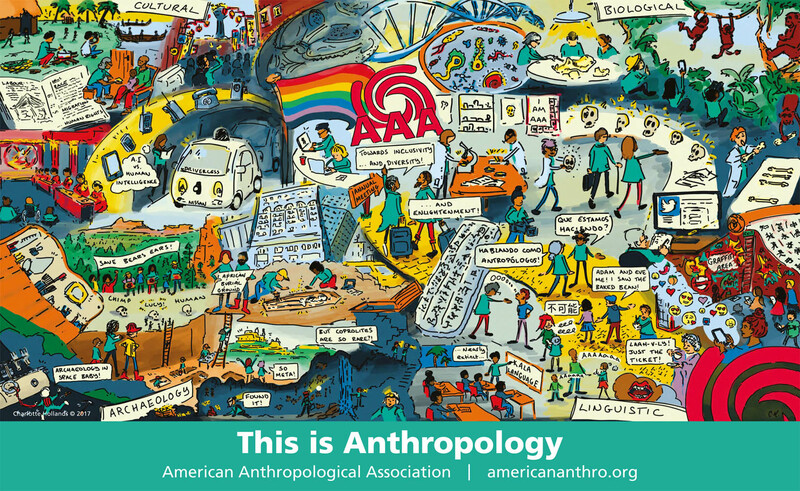 All submissions become the property of the American Anthropological Association. Winners will be notified via social media. Grand Prize: The 2019 Annual Meeting registration will ONLY include the green option and does not guarantee placement on the annual meeting program. Additionally, Annual Meeting travel and/or lodging costs are NOT included. Registration is only good for 2019 and cannot be swapped for another year. Second Prize: Complimentary AAA Membership is only good for one year. If your membership is currently active you will receive a 12-month extension and not a refund of previously paid membership dues. Your membership will include one section. Third Prize: The Amazon Gift card is not in partnership with Amazon. The Amazon Gift card will be sent electronically to the winner.